More and more insurance providers are asking for intruder alarms to be installed and maintained by an NSI Gold accredited company. By bringing your custom to us, you can be assured that you are getting the highest quality of installation and service. We will send out an engineer to conduct a free no obligation quotation in order to design a system specifically for your needs. Sonitech Systems Ltd supply, install and maintain intruder alarm systems to BS EN 50131 and PD6662 to protect any type or size of building. We can work to any insurance specification, or using the vast experience of our surveyors, design and install a system to meet all your security requirements. Audible – this is a “bells only” alarm. This alerts the intruder to the fact that the property has an alarm and will usually scare them into leaving quickly. Direct dial – this is sometimes known as a Vocom or speech dialler, this type of dialler calls you from the panels nominated numbers directly in order to alert of any activations. Digital Communicator – www.csldual.com- this is similar to the Vocom, but calls the monitoring station upon activation, who then act on the signal with the appropriate action. Dualcom GPRS – www.csldual.com – as explained on the CSL website, Dualcom GPRS can be fitted to different grades, and has two signalling paths. The main path being the GPRS, if this then fails the phone-line is also there as a backup path. There may be alternative signalling methods which your insurance may request such a redcare and we are happy to discuss these with you at the site survey. Unfortunately, with unemployment at an all-time high and money hard to come by it is becoming increasingly important to protect your property and belongings. 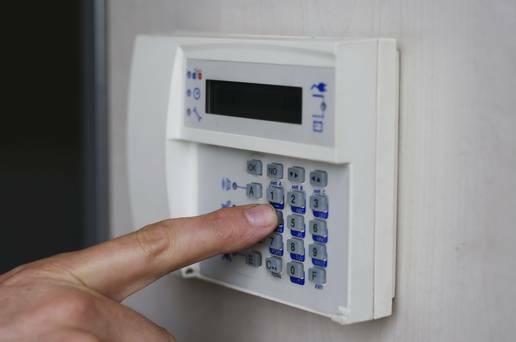 Sonitech can offer a custom Intruder Alarm system to suit your individual needs, from a bungalow to a warehouse, our systems are fitted with the latest equipment from leading manufacturers recognised by insures to give you peace of mind.